David Cameron has today delivered a once in a generation speech to the nation in which he urged poor people to stop being poor right now and making everyone feel guilty. The speech is widely predicted to woo many Labour party members disaffected by their leader Jeremy Corbyn’s irresponsible policy of helping poor people with food and housing. 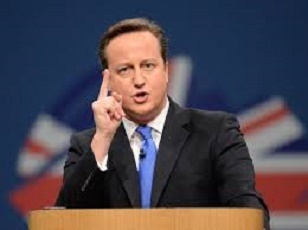 However Mr Cameron assured the poverty stricken that there would also be some government assistance. “Now of course we’re going to be helping our end. We’re offering marginally discounted properties to enable young professionals on 70k a year to get their foot in the buy to let market. The rest is up to you.” He explained. Very funny and very clever. Cameron does love animals doesn’t he?